Located in the Southern state of Tamil Nadu, Coimbatore is advantageously sandwiched between tourist attractions like Ooty, Kodaikanal and Coorg. The city is swiftly moving into fast-track development. In India, the focus has already shifted towards tier II cities owning to the huge demand in these cities, and many investments are pouring to them because of the good business propositions they offer. Coimbatore is already witnessing increased real estate demand. Coimbatore’s massive manufacturing sector makes it one of the fastest-growing economies in the country; the city justifiably enjoys the tag of ‘Manchester of South India’. Its surrounding cotton feed a flourishing textile industry, contributing to the diversity of its economy. Coimbatore also holds many other alluring economic features – for instance, it is a renowned manufacturing centre producing specialized products intrinsic to the region, auto components, motors and pumps, etc. The exports from the city range from poultry, jewellery to software. In fact, Coimbatore caters a lot to the growing IT industry and is supported by huge skilled labour pool and special economic zones (SEZs) that have attracted leading IT companies and technology service providers. The city also has a strong economy from medical tourism from various parts of the country. 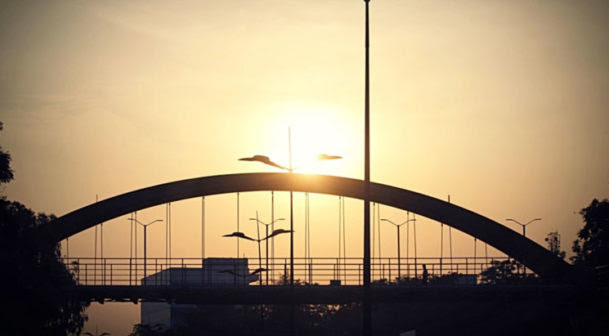 Coimbatore has been identified as one of the top 10 cities in the country that offers low budget real estate investment opportunities, according to a recent study done on Emerging Hotspots in India by JLL. · One of the top 20 Smart Cities of India..! Coimbatore, categorized as a Business & Industrial Centre, has the pride label of one of the top 20 cities chosen by the Ministry of Urban Development, Government of India under the Smart Cities Mission initiative. The city focuses on five nodes for the smart city proposal, such as best-in-class civic services which envision to strengthen all the utilities, seamless mobility which focuses on NMT, parking and intelligent transport system through CCTV surveillance, a sustainable environment by implementing LED street lighting and increasing green cover, E-governance and efficient infrastructure for industries. Central Coimbatore, adjoining an 8 lake network, is selected as the area for development under the Smart City initiative, and will witness intense development in the vicinity in the coming years. Recently, German experts have indicated to the State Government their interest in extending assistance to the Smart City project to be implemented in Coimbatore. Already an established industrial hub of South India..! Coimbatore has over 25,000 small, medium and large business enterprises functioning in the city. The major industries are textile and engineering, and the city still continues on its track of being hardware–centric. 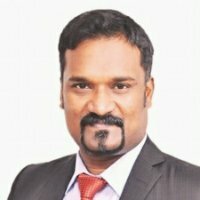 This makes it unique when viewed against other South Indian cities like Chennai and Bangalore, which rely more on the software industry for growth. With the implementation of GST, this region will benefit from its locational juxtaposition with neighbouring states of Kerala and Karnataka. The Coimbatore - Salem Industrial Corridor strengthens its advantage. Coimbatore is a prime-node on the industrial corridor between Salem and Coimbatore proposed by GoTN’s Vision 2023 Agenda. This could bring in substantial incremental investments in the region to help infuse positive economic developments in the city. According to the Confederation of Indian Industry (CII) South, this corridor is expected to attract an investment of about INR 14,700 crore to create further infrastructure, thereby creating a wide range of investment opportunities to the tune of about INR 43,000 crore. It is also being expected to create jobs for approximately 18 lakh white and blue collar personnel. This has already pulled in residential developers planning to expand their offerings in the city. · Emerging IT / ITeS destination..! On the software side, Coimbatore ranks 2nd following Chennai in terms of software production in the state. Cognizant Technology Solutions, Wipro, FORD, Aditi Technologies, Robert Bosch GmbH, IBM, Tata Consultancy Services, Tata Elxsi, Dell, CSS Corp and KGISL have already started their entry into the city. In fact, Cognizant’s second-biggest hub is located in Coimbatore, employing about 5000 employees. Coimbatore is also known as a business process outsourcing (BPO) hub of note. Further, it is the largest non-metro city for e-commerce in South India due to the growing online shopping, e-ticketing and e-billing adaptation being deployed in the city. Several e-commerce companies are also based out of Coimbatore, including Gajgallery.com and Krizda.com. Availability of quality labour is an important factor driving factor that makes Coimbatore a preferred business destination. The low attrition rate (>10%) and limited competition add to the positive business environment. It also houses 7 universities, 54 engineering colleges, 2 medical colleges, 35 polytechnics and over 700 other educational institutions. This attracts a major population both from within and outside the state for quality education. · Increased demand for commercial real estate..! In the past, the city’s market was not significantly office-driven and the demand of real estate was by and large in the residential and industrial segments. However, the city’s current outlook has changed drastically by shifting towards increasing uptake of commercial real estate. In fact, Coimbatore is among the rare Indian markets where office space uptake has been in the positive zone in recent years. The city has witnessed an increasing trend of relocation of companies to bigger spaces. Though the majority of such relocations are seen in the CBDs and off-CBDs in other major markets, in Coimbatore the rapid increase in Small and Medium Enterprises (SMEs) has led to emerging locations commanding a higher increase in rentals than the established locations. While IT/ITeS companies are increasingly relocating from their existing buildings to others within the same micro markets due to cost advantages, the real demand has started coming from the SMEs in the city. The rentals for warm-shell office spaces are in range of INR 40 to 45 per sq. ft. Spaces of sizes 1,000 to 1,500 sq. ft or 3,000 to 4,000 sq. ft are highly preferred in this market. The requirement continues to be good for buildings that are located within 30 km from the city centre. The city has a total supply of 4.5 million sft of commercial space across various locations such as Avinashi Road, Trichy Road, R.S. Puram, Mettupalayam Road and Gandhipuram areas, with an average vacancy of 20%. This clearly shows that Coimbatore is slowly transforming into an end-user driven commercial market. · High potential for residential real estate..! With the increased demand for commercial activity, coupled with the Smart City initiative and industrial demand, Coimbatore is emerging as a major nexus for well-established and sustainable residential real estate. The market has witnessed substantial increase in demand for housing, and the demand for second home and retirement communities continues unabated. Coimbatore’s residential market has witnessed a positive push in demand for residential units in the key areas of the city such as R.S. Puram, Avinashi Road, and Race Course, which are considered posh areas. Locations off Avinashi Road and Saravanampatti, Mettupalayam Road and Trichy Road are seeing a lot of low-budget projects. In Coimbatore’s residential market, 40% of real estate investments come from those living in cities such as Bangalore, Kochi, and Chennai. The preference for smaller apartments (1 BHK, 2 BHK) is high among young IT professionals, while villas and row houses are perceived in demand from NRIs, retired persons and top management IT and business professionals. Coimbatore is currently witnessing relatively low new supply, as developers are keen to utilize the growing demand to clear their existing stock. The projects in the city are selling between INR 4,000 to 6,500 per sq.ft. Likewise, they are keeping residential launches in sync with the overall consumer spending capacity in the city by avoiding a lot of high-end or super-luxury launches in the market. Conclusively, Coimbatore has emerged as a strong and growing economy based on manufacturing and services sectors. This tier-II city boasts of a distinctive economy, quality education, an extensive labour pool and focused sustainable development objectives, making it an attractive destination in South India giving a positive anticipation for the future investments. With the onset of positive sentiments and the city’s business-friendly environment, its real estate market will grow tremendously in the coming years.